The battle between Harden and Westbrook is going to be fascinating to watch for as long as this series goes on, with the two top MVP candidates squaring off. They have led their respective teams to the positions they find themselves in, with Westbrook pulling off a record for triple-doubles in a single season and Harden not all that far behind. The Rockets have had more depth than the Thunder though throughout the season and find themselves finishing in third spot out of a tough Western Conference. With some predicting them to just scrape into the playoffs at the start of the season, they have well-exceeded expectations. Those expectations have gone up a bar with home court advantage now though and the pressure on James Harden to ensure there isn’t an upset is immense. The way Patrick Beverley, Clint Capela and Trevor Ariza play will determine exactly how many points Houston can put up, but with their defence being the fourth worst in the league, they need a lot. Westbrook, while carrying the Thunder has had very little in the way of support and if he had an off game, then so did the Thunder. What the Thunder did have though was a much better defensive presence, especially in the paint where Ersan Ilyasova and Steve Adams, along with Westbrook have helped them become the best rebounding side in the NBA. Against a side like Houston who put up so many threes, rebounding could prove to be pivotal in the contest and so the Thunder having that advantage is a big one. When Westbrook is the only player averaging more than 16 points per game though and only four average more than ten – in contrast to the Rockets who have six in that category, you have to wonder if their rebounding will be enough to pull through the contest. 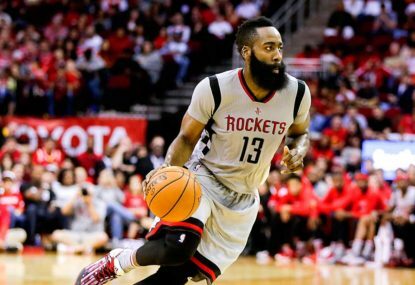 At home, the Rockets have been strong all season and it’s hard to see them messing up in the first game of the series. Westbrook will take the Thunder close, but ultimately the Rockets have more depth and will win an entertaining, high-scoring affair. Be sure to join The Roar for live coverage of Game 1 from 11am (AEST) and don’t forget to add a comment in the section below.